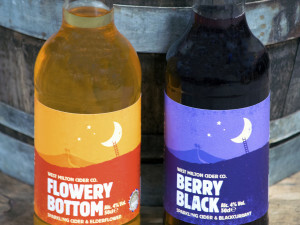 Another Year Another Batch of Real Cider - West Milton Cider Co. 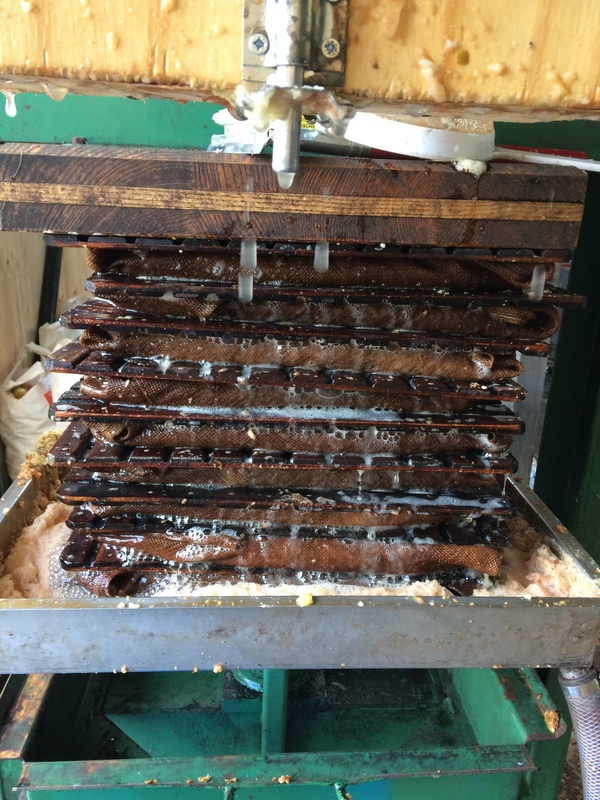 Pressing was finished in November and as usual during this period of collecting and pressing apples we are unable to think of anything else. 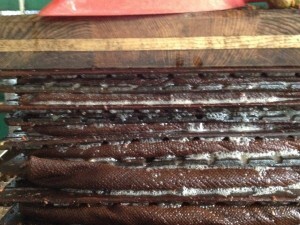 After much hard work we have achieved 22,000 litres of good quality juice which is progressing well to fine Real Cider. The good growing conditions last summer gave us quality apples with much higher sugar levels than 2015. This year we had the benefit of a new elevator which was the result of much head scratching for Nick and engineer Ian. 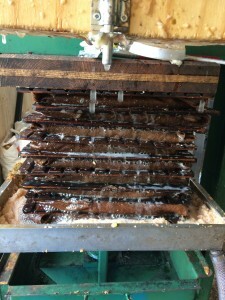 The elevator was adapted from a flat belt conveyor used to carry packet soup, into a very capable pomace carrier which made light work of lifting 35 tonnes of milled apples up to the press. 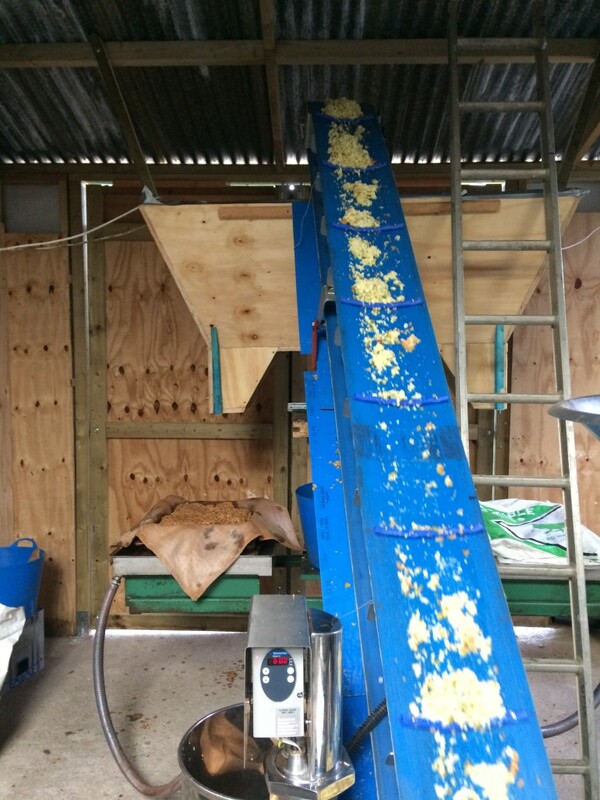 The press was also adapted to have an overhead hopper and two fiendishly cunning trap doors, which were quite simple to operate once you’d got the hang of it – but gave us all an apple puree face mask getting to that point! We have pressed juice from the Marlpitts apple, found on the farm next door to us during the search for old varieties. The cider has good flavour and will be available for specialist Real Cider festivals. 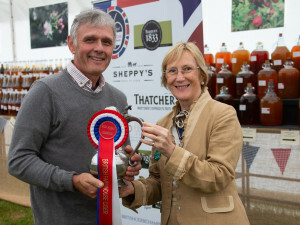 It is very encouraging to discover a new variety that produces a good single variety cider and we are looking forward to expanding this when our own twenty newly planted trees come into production. Pruning of our apple trees is now finished. A lot of bark on the trees and low branches was being attacked, still not sure if it was hungry rabbits or Roe deer. All of the branches cut off were very quickly stripped of all bark. Our Sparkling Perry is ready for release, we have a very limited supply of 450 bottles. The Perry will be entered into the Bath & West Show competition and offered at events and festivals we attend through the summer. We are very pleased with the finished result of this, it has a lovely clean light feel in the mouth and a subtle woody/smokey background flavour. Could easily take the place of a medium-dry white wine. So now we are getting ready for the busy summer season, having just enjoyed a holiday in Vietnam where they did not seem to have heard of cider, a possible export market there! 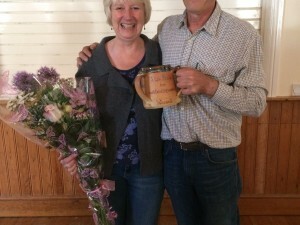 Our first event is the annual Powerstock Cider festival. There is a friendly competition for cider makers, real cider tasting, food and music and a good time is had by all. Sadly after 16 years of organising this event Nick has decided NO MORE! Perhaps someone else will step up and keep it going. Booking up events for the season and look forward to seeing friends old and new through the summer.